Aloha friends and colleagues of pidf! This year we celebrate the 20th anniversary of Partners in Development Foundation. From its beginning, PIDF has been passionately committed to helping children and families to find success and to experience in their lives the power of traditional Hawaiian values and perspectives within our contemporary world. Tens of thousands of people have been touched by the work of hundreds of my colleagues and many have experienced transformational change in their lives. 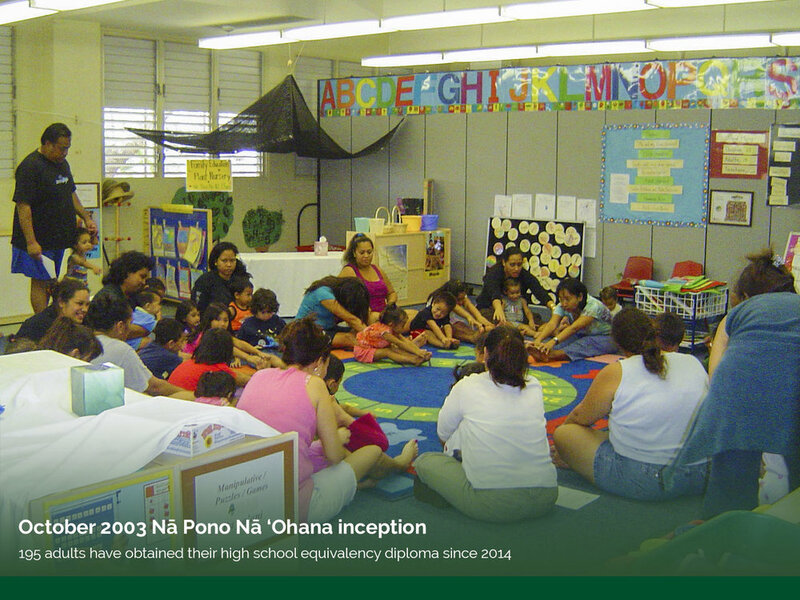 Tūtū and Me Traveling Preschools have enriched early education for the needy in Hawaiʻi, nationally, and internationally. PIDF’s work with the homeless through innovative preschools and family education programs for adults have allowed many homeless families to break the cycle of poverty. 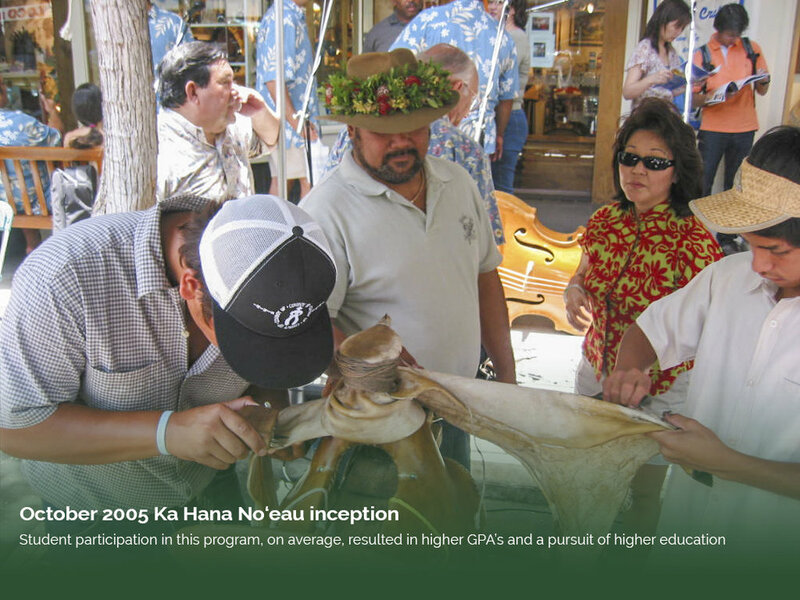 Many other programs of the Foundation have innovatively engaged the issues of mentoring, foster parenting, STEM curriculum development and teacher education, Hawaiian language and cultural issues, and practical paths to land use and natural resource stewardship. We recognize that all we have achieved over the past 20 years has been through the hard work, passion, and aloha of all of our colleagues and partners. Each of us understands that the story is never about us, but rather about the children and families we are privileged to serve! The many, and often, unexpected opportunities we have been given to serve have been doors to discovering how resilient and talented our colleagues and our clients are in facing the challenges of life. Most of us are often outside our comfort zones but we are rewarded and blessed to see how awesome the power of aloha is in our lives and the lives of those we serve. On behalf of our dedicated Board of Directors and fellow staff, I want to thank our friends and supporters for helping us to stay faithful to our path of service. Aloha, Lōkahi, Mālama, Pono, and Poʻokela are our core values and have been the language of our organizational culture over the years. I trust this 20th anniversary annual report will allow you a glimpse of this culture of service that sits at the heart of PIDF. Ke Kama Pono, a safehouse for male adjudicated youth made up of ages thirteen to seventeen, serves up to twelve youth at a time. The goal is to support the development and integration of critical life skills necessary for long-term success. 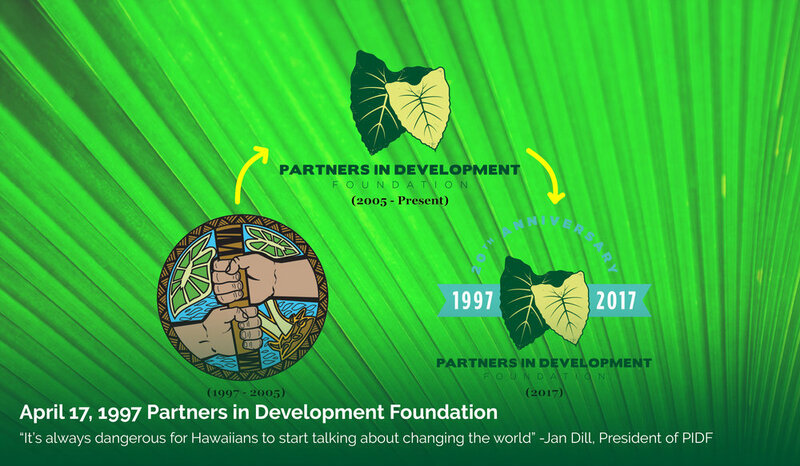 They are tasked with projects, using the Hawaiian culture as a framework, to build and foster the core values that Partners in Development Foundation instills in their clients and staff. Mike Kahue, program director of Ke Kama Pono, saw a shift in the attitudes of the boys compared to other projects they have done. The Order of Ke Aliʻi Pauahi Award has been bestowed upon those who have been unselfish in their gift of time, dedication and service to their community and who exemplify the qualities of character and leadership that are consistent with the spirit of Kamehameha Schools Founder Princess Bernice Pauahi Bishop. Jan was selected for his years of dedicated service to helping communities locally, as well as abroad. High quality early childhood education is critical for a child’s development and long-term success. 85% of brain development occurs by age five during the early elementary years when children are gaining fundamental social and academic skills. This high quality early education provides a structured environment where they learn to follow rules, increase socialization skills, and increase literacy so that they are ready for kindergarten and beyond. Nicole Kamai started attending Tūtū and Me nine years ago with her first son. She is a stay at home mom of five children and continues to attend the program. Nicole believes it’s a real family atmosphere and considers the teachers and other families her extended ‘ohana. Tūtū and Me aims to meet the developmental needs of young children and to support the grandparents, parents, and other primary caregivers who are unable to afford or access quality preschool education. We, at Partners In Development Foundation, believe that the caregivers are the keiki’s first teachers. We want to provide keiki with the tools that will lead them to success through building a strong foundation in their younger years. 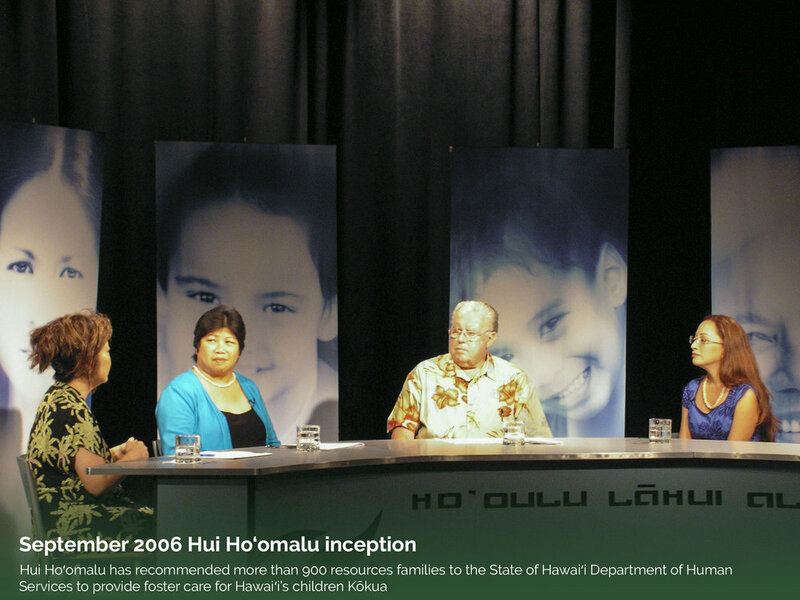 Our foster care program, Hui Ho‘omalu, has had as its goal the reunification of families. While social workers strive to get families back to a place of health and security, their keiki need a home with a loving family that supports them until that day comes. The Ahn’s are just one of the many families that have chosen to make a difference in our communities. Robyn is the Principal at Kaimuki Christian School and Eun is a Finance professor at University of Hawai‘i. They have four children of their own and a desire to help children and families in need. Upon searching for ways to share their blessings, they came across Hui Ho‘omalu and thought that fostering was a great option. The Ahn’s have been fostering for nine months. They were commited to fostering with the idea that it was about reuniting the children with their parents. Caring for the land has been an integral part of the Hawaiian culture and environmental health is tied directly to the health and resiliency of our communities. Our commitment to the environment go hand in hand with our commitment to education and social services. Through our environmental programs, we teach Hawaiian cultural values, land stewardship, and STEM education. At Partners in Development Foundation, we see land stewardship as a key component to community health. Stewarding the land is an extension of our commitment to the next generation of the communities we work with today. We extend our care for the ‘āina and the communities we serve through implementing and promoting the practice of natural farming. As an island community we import 80-90% of our food. This is a striking percentage and highlights the level of food insecurity we collectively face. As we push for food security as a community, we also seek to ensure the quality of the food we eat today and into the future. Therefore we’re committed to agricultural models that sustain our communities and the land, while providing healthy and abundant food. Our Hawaiian ancestors used natural farming practices to support several hundred thousand people using only the island’s resources while cultivating and preserving this invaluable resource for future generations. Implementing the natural farming method has the potential to transform and liberate modern food production in Hawai‘i through leveraging local resources, and increasing ecosystem health with each passing season. We’re forging a path ahead for a food secure Hawai‘i, by looking back at how the Hawaiians mālama ‘āina in a pono way. Mahalo to the many other individuals and organizations who have also supported Partners in Development Foundation during this period of July 1, 2016 through June 30, 2017, the Aloha United Way donors from the 2016 campaign year, and the american savings bank kahiau employee giving campaign donors. Your generous cash and in-kind donations to support the work of the foundation are very much appreciated!